Ben Towle sold me on his art style a long, long time ago with a story about Ty Cobb, the legendary baseball player with the temper of a demon. His somewhat wistful style with simple lines that come together to make the art feel just a bit lost in time was perfect for the piece. Every Towle comic I've read has that same feel to it. When he illustrated a book about Amelia Earhart, the tone was perfect. Though there are not nearly enough Ben Towle books, I enjoy each and every one of them. They're well-written, drawn carefully (which partially explains why they are rare), and always provide an enjoyable narrative, whether it's a longer-form work or something shorter. While sometimes creators seem to cut things off abruptly as they reach a page count, I've never seen that with Ben's work. In addition to being a great artist, Ben is also a great guy just to talk to. He's got a great feel for music and an appreciation for vinyl that is pretty cool, even if I don't share it. I've had quite a few great conversations with him over time on all kinds of subjects, as his interests are broad and his knowledge is strong. Sometimes creators are jerks--talented mind you, but just not a person you want to hang out with. Ben is the polar opposite. I'd happily spend hours over a draft or two just aimlessly conversing. Ben's current comics project is the webcomic Oyster War, which is set sometime in an alternative history just a bit after the US Civil War. Oysters are being poached and it threatens the livelihood of all, but only a motley crew can stop the damage. It's some of Ben's best work artistically, and while I wish there were more of it NOW, it's hard to argue when the results as this good. 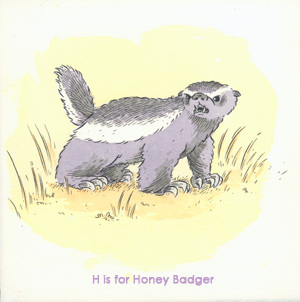 Over a year ago, Ben Towle came up with the idea of a group sketchblog where people contributed drawings of animals, with a different letter of the alphabet each week. (I even did a silly little one for Lemings!) Now in its third incarnation (characters from books), the idea is still going strong, and SPX will feature quite a few of the participants, including Rob Ullman, Joey Weiser, Rich Barrett, and of course Towle himself. 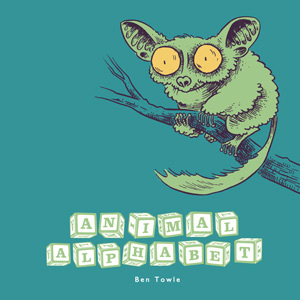 For SPX this year, Ben is bringing along two collections of his alphabets, for animals and fantastical creatures. While the former is strictly fact, Towle came up with the neat idea of using only D&D monsters for his creature contributions. (This made for some difficult options, if you follow Ben on Twitter and read his running commentary.) Ben will be sitting with others who worked on the project and may even have some collections from those unable to attend SPX. 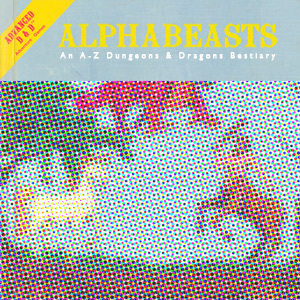 The Animal Alphabet is full color, while the D&D grouping is black and white. For those who love sketchbooks and/or animals and/or monsters and/or sentences with too many and/ors, Towle's books are a must-purchase at the show. If you're a fan of music, you might even get a chance to talk shop, if there's time. Can't make it to SPX? You can visit Ben's website here, which includes links to Oyster Wars as well as his online store.